Earlier this year, I wrote an opinion piece that looked at changing way consumers interact with content online, using mobile applications rather than traditional websites. 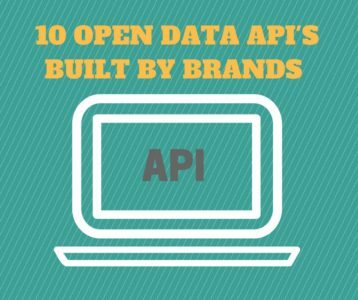 As a result brands need to more than ever start investing in building open APIs and data sets so that they can ensure ‘organic’ visibility in third-party apps and use them as an opportunity to secure free press coverage even if they don’t have 100% control over how the data is utilised. Regularly publishing and sharing data can be a very powerful PR strategy, in the past 2 years, I’ve created over 100 successful visual content campaigns that leveraged open source data, analysed it to create a story and then used data visualisation to create a link-worthy asset. 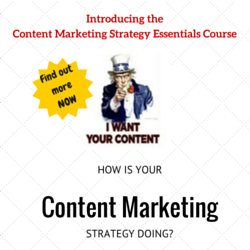 I’m far from alone in this effort – it’s a fantastic way to semi-automate your PR strategy. Below, I’ve handpicked notable examples of brands who are successfully employing open data strategies to earn natural visibility across websites, apps and platforms and secondly, these should act as useful open data resources you can utilise in your next content marketing campaign. Zoopla is a UK-based property comparison site and anybody can use their open developer API to pull detailed information on 27 million homes and 1 million properties such as average sold prices, current property values and local trends. This is amazing dataset, and we’ve used it a ton of times when working on property focused pieces. To be fair to the engineers, they openly ask for a hyperlink back to the site – such a clever link building strategy. Virgin Money Giving is a personal fundraising site and they offer open APIs that allow charities, individuals to help integrate fundraising data on third-party websites and platforms. For example, a charity can create a fundraising leaderboard on their site as a way to thank and recognise contributors. It also in-directly helps raise the profile of Virgin Money Giving as a not-for-profit fundraising platform. US retail giant Best Buy offers an extensive open source API for any developer enabling you to grab product prices, descriptions and images for hundreds of thousands of items. In addition, they offer extensive video tutorials and guides. There is also an App Gallery demonstrating the best uses of the API. This is a fantastic example of how any eCommerce business could employ an open data strategy. British Airways allow trial access to their API to allow you to pull real-time arrival and departure information, lists of BA destinations by airports and also pricing information. Their API lets them strengthen their affiliate marketing proposition and also gives a way for content marketers to integrate real-time information about flights into their campaigns. Of course, this all results in free press coverage for British Airways. 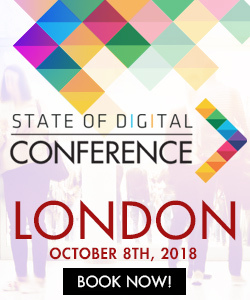 Data Gov is the UK Government’s massive initiative to gather, organise and publish all open data that’s available across the United Kingdom by government-backed agencies such as the Office for National Statistics, Local Governments, Environment and Health. There are 15,000+ datasets here you can utilise in either a .CSV format or additionally available as yes, you guessed it, an RESTful API. The US Government also has a similar initiative available here with over 185,000 datasets. 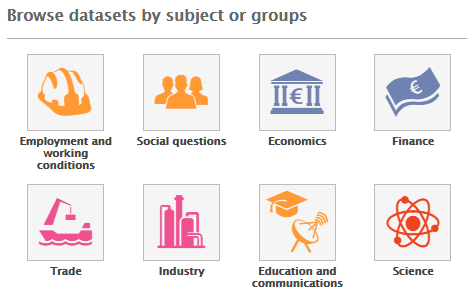 If you are looking for something beyond national statistics European Union Open Data Portal is a great resource for EU data with over 8,900 datasets available. You can also submit any example uses of the API to their applications page as a way to secure extra coverage. The world’s best known metro systems have created Open API’s to encourage developers to integrate transport data within their applications, websites and platforms. This includes Transport for London, New York’s MTA and San Francisco’s BART trains. In addition to the above, it’s quite well known that all of the major social networking and search engines such as Facebook, Instagram, Twitter and Google have an extensive number of limited use API’s that can be utilised in third-party applications or content marketing. I hope the above examples also help inspire how you can start exploring an open data strategy as the benefits are so clear – you can reach more customers, earn brand credibility and even potentially link building / press coverage to increase your SEO visibility.